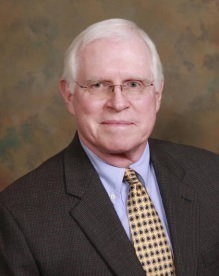 Tom Hallstead has practiced law in San Antonio for more than 38 years, principally in the areas of real estate; estate and business planning, wills and trusts; probate; and mediation/civil litigation. Tom has represented a variety of clients, including private commercial developers; private restaurant chains, national banks and loan associations; school districts, retailers, architectural firms, religious congregations, private developers, custom home builders and many individuals. Tom was admitted to the bar in the State of Texas in 1978; the U.S. District Court, Western District of Texas in 1989; and the U.S. Court of Appeals, Ninth Circuit in 1993.Tom is a 1968 graduate of the McIntyre School of Commerce of the University of Virginia and a 1977 graduate of the St. Mary’s University Law School. Tom was an active duty officer in the United States Army from 1968 until 1975, serving in Vietnam as a medical evacuation pilot.